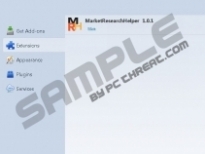 MarketResearchHelper is program the objective of which is to collect anonymous information about how computer users browse the Internet. The program is works silently in the background of the system and is said to be advertisements-free. The user is supposed to voluntarily install this application on his/her computer in order to help some researchers gather information about Internet users’ interests and behavior. Even though it is claimed that MarketResearchHelper does not display advertisements, it is categorized as adware because it is sponsored by some third-parties. Most important, it can be removed from the computer by reputable spyware and malware prevention programs, and, if you want to get rid of this adware program, take action right now. MarketResearchHelper is compatible with Internet Explorer, Mozilla Firefox and Google Chrome. As for Google Chrome, it has been discovered that the program does not work on the latest versions of the Internet browsers. If you have MarketResearchHelper on your computer, we recommend that you remove it straight away, especially if you are sure that you have not installed it yourself. 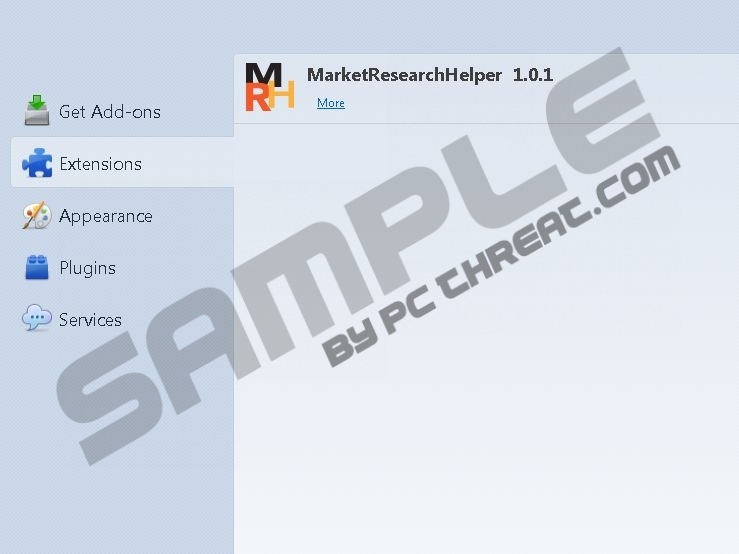 MarketResearchHelper is bundled with various free programs; it may be attached to installers distributing browser extensions, media players, trial versions of system optimization programs, etc. Without reading the information provided by the installation wizard, you cannot prevent the installation of additional programs, so do not forget to review the license agreement before clicking the Yes or Agree button. MarketResearchHelper may provide you with third-party advertisements, which are neither endorsed nor owned by SuperWeb, which is the developer of the program. MarketResearchHelper may be utilized by cyber criminals to distributed deceptive advertisements, which is one of the reasons why it is advisable to remove MarketResearchHelper from the browsers. Third-party websites are governed by separate privacy policies, which you should review before downloading programs or purchasing some products or services on unknown websites. MarketResearchHelper is not the only product of SuperWeb, and if you like downloading various free computer applications, you should keep in mind that that you may encounter some other programs of SuperWeb, including Surftastic, HypeNet, Allgenius, Glomatron, etc. These programs are very often bundled with other browser add-ons, video players and system optimization programs. If you want to remove MarketResearchHelper in no time, we recommend using SpyHunter because this real-time security program can easily eliminate MarketResearchHelper from your browsers and shield the system from various computer threats, such as Trojan horses, browser hijackers, rootkits, worms, and adware programs. Click Uninstall a program and remove MarketResearchHelper. Click Control Panel and select the Add or Remove Programs option. Select Uninstall a program and remove MarketResearchHelper. Quick & tested solution for MarketResearchHelper removal.